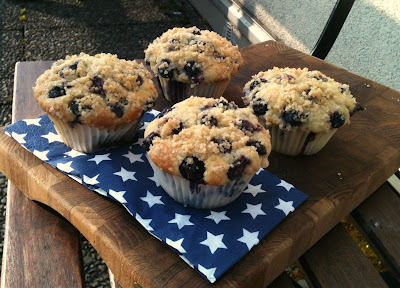 Someone very special to me asked me to bake blueberry muffins. So here was my next project! How hard can it be? Some dough and some blueberries? Well it turned out to be more challenging than initially thought. I tried many different recipes, which I found either too dry, too light, too eggy, or without enough blueberries. In the end I came up with my own recipe which is a compilation and adaptation of a few recipes (referenced below). These blueberry muffins take 10 min to prepare and 20 more min in the oven to bake. They're soft and moist, and have lots and lots of blueberries. 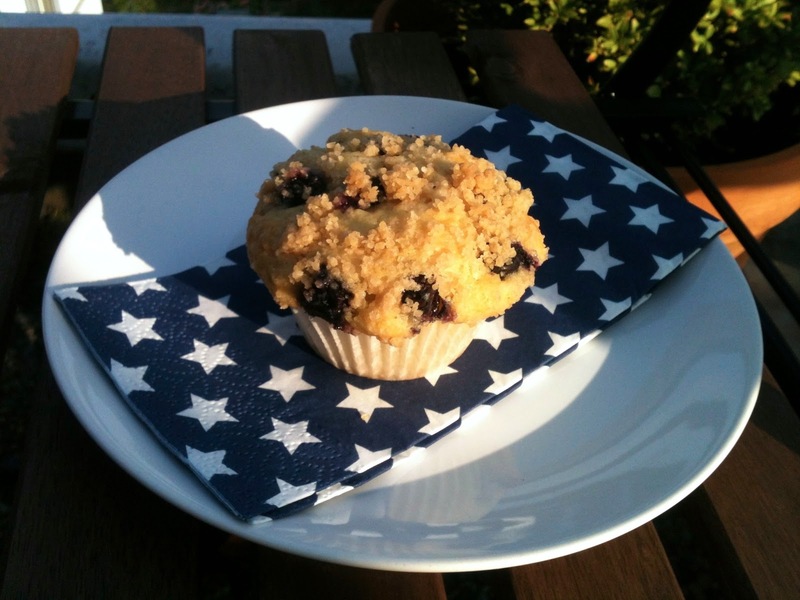 The crumble on top adds some crispiness to the muffins and I think they're very good! You could easily replace the blueberries with other berries, such as raspberries, currants, or cherries. Mix all ingredients for the crumble by hand and reserve in the fridge. For the dough, mix all dry ingredients in a bowl and mix all wet ingredients in another bowl. Mix both wet and dry ingredients with a fork just enough to be roughly mixed and add the crushed blueberries. Fill muffin forms halfway. Add half of the blueberries. Add the remaining dough to the form and then the remaining blueberries (press them in). Sprinkle the crumble on top and bake 20 min at 200 C.